¡Nosotras encontraremos los Digmoles y resolveremos el misterio! Para saber quien es el misterioso enemigo y que quiere, las Winx tienen que encontrar otro ejemplar de Digmole y solo tienen una oportunidad para hacerlo: viajando atrás en el tiempo con las Piedras de las Memorias que Faragonda les ha dado. We'll find the Digmoles and solve the mystery! In order to find out who the mysterious enemy is and what he/she wants, the Winx have to find another specimen of Digmole and they only have one chance to do it: travelling back in time with the Stones of Memories that Faragonda gave them. Una vez llegamos a Alfea del pasado, las Winx conocieron a Kalshara, una malvada hada que quiere secuestrar los Digmoles con la ayuda de su hermano Brafilius. Sin embargo, las Winx rescataron los Digmoles obteniendo de esta forma el poder Butterflix. ¡Mágico! 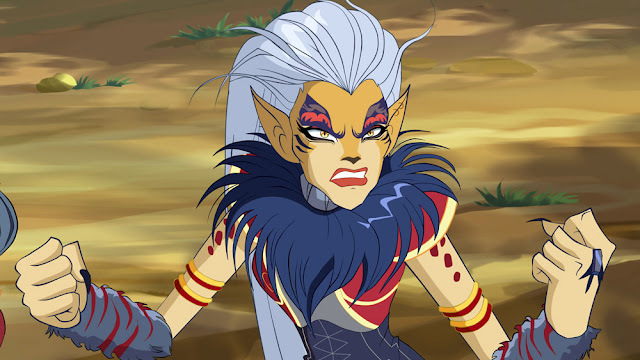 Once arrived at Alfea in the past, the Winx meet Kalshara, an evil fairy who wants to trap the Digmoles with the help of her brother Brafilius. 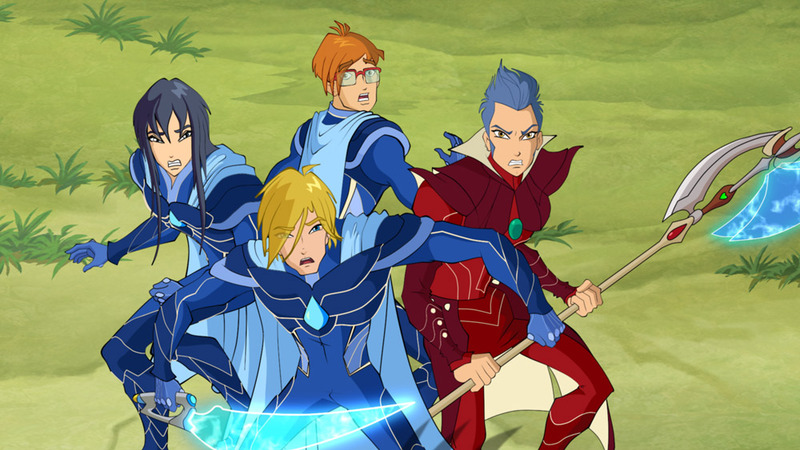 The Winx, however, manage to rescue the Digmoles, obtaining in this way the Butterflix power. Magical! 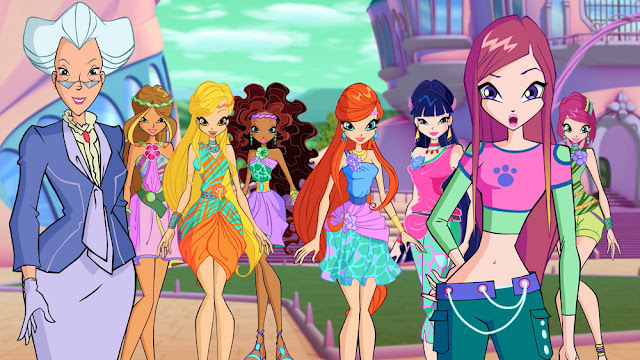 ¡Las Winx no nos van a parar! The Winx won't be able to stop us! 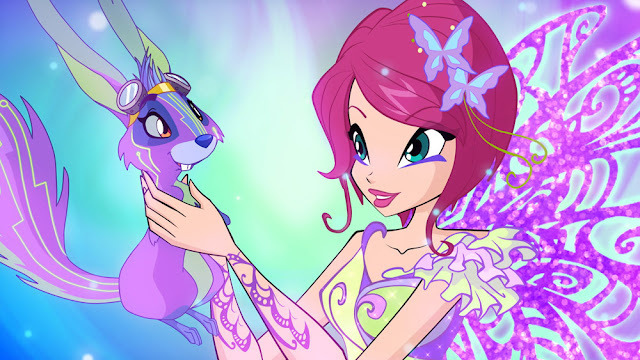 Tras las pistas de Kalshara y sus continuos ataques a los Animales Hada, las Winx llegan al Magix prehistórico. Allí encuentran a Squonk, una adorable criatura que se une mágicamente a Layla. 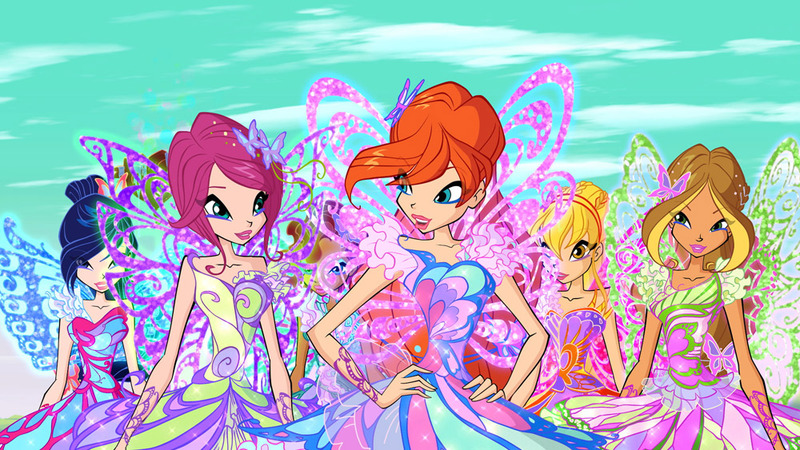 On the tracks of Kalshara and her continuous attacks to the Fairy Animals, the Winx get to Magix prehistory. There they find Squonk, a cute creature that magically bonds with Aisha. Mi pequeño... gran, ¡adorable perrito! En Lynphea, la especie MagiWolves (MagicoLobos) esta en peligro! Las Winx están fuera del planeta natal de Flora... ahí es cuando Flora, también mágicamente, se une a su Animal Hada: Amarok. My little... big, cute puppy! On Lynphea, the MagiWolves species is in danger! 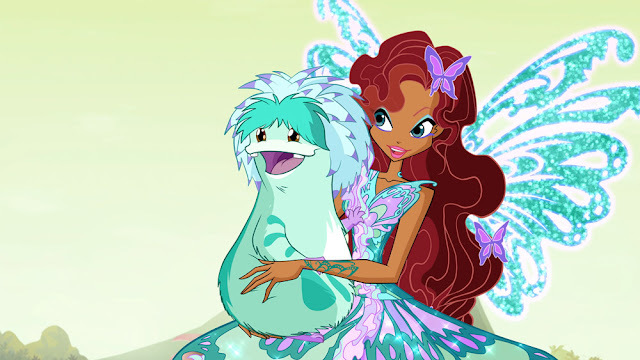 The Winx are off to Flora's home planet...there, Flora also magically bonds with a Fairy Animal: Amarok. ¡Siento que juntas podemos crear la harmonia perfecta! Las Winx viajan a Italia Medieval donde Musa también, gracias a su poder Butterflix, encuentra a su Animal Hada despues de salvarla de las garras de Brafilius: es Critty, el Quillcat (Cargato). I feel together we can create a perfect harmony! 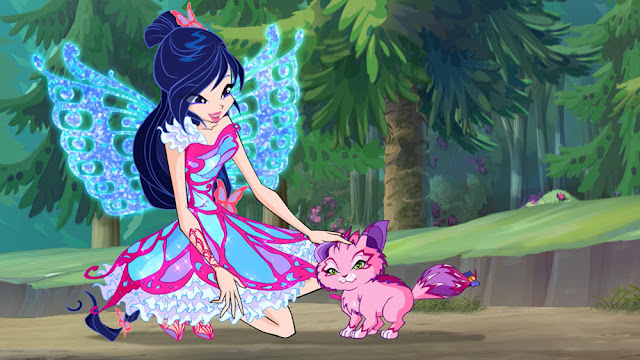 The Winx travel to Medieval Italy where even Musa, thanks to the Butterflix power, finds her Fairy Animal, after saving her from Brafilius clutches: it's Critty, the Quillcat. ¡Oh no! Kalshara ha secuestrado a Critty y las Winx se ven forzadas de nuevo a rescatarla. Llegan al lugar escondido de los enemigos, donde los Animales Hada estan prisioneros. Entre los Animales Hada esta Shiny, que gracias al enlace mágico con Stella, echa atrás a Kalshara y Brafilius. Oh no! Kalshara abducts Critty and the Winx are forced once again to chase her. They then arrive to their enemies' hiding place, where the Fairy Animals are imprisoned. Among the Fairy Animals there is also the Shinygreed Shiny that, thanks to the magical bond with Stella, sends away Kalshara and Brafilius. ¡Tenemos una nueva amiga hoy! ¡Su nombre es Flitter! Los Techquirrels (Tecnologillo), los mágicos animales del planeta Zenith, fueron capturados por Brafilius. Y una vez mas, el trabajo de las Winx es parar todo esto. Gracias a su poder, Tecna controla mágicamente el enlace con Flitter y salva a los de su especie. We have a new friend from today! It's name is Flitter! The Techquirrels, the magical animals from the Zenith planet, are chased by Brafilius. And once again, it's the Winx job to sort things out. Thanks to her power, Tecna manages to magically bond with the Techquirrel Flitter and to save his species. ¡Bienvenidos a nuestro Parque de Animales Rescatados! Mientras tanto, en la Tierra, Roxy funda el Parque de Animales Rescatados para los animales terrestres en peligro. ¡Que bonito! Finalmente tienen un lugar donde vivir, ¡libres y seguros! Welcome to our Animal Rescue Park! In the meantime, on the Earth, Roxy founds the Animal Rescue Park for the terrestrial animals in danger. How nice! They'll finally have a place to live in, free and safe! ¡Emergencia desde China! Los pandas están siendo amenazados por una criatura que cambia de forma. Una vez que llegan allí, las Winx encuentran a un unicornio bajo un hechizo, llamado Elas. Gracias a un enlace especial con el, Bloom se las arregla para romper el hechizo y rescatar a los pandas. Emergency from China! Pandas are threatened by a shape-shifting creature. 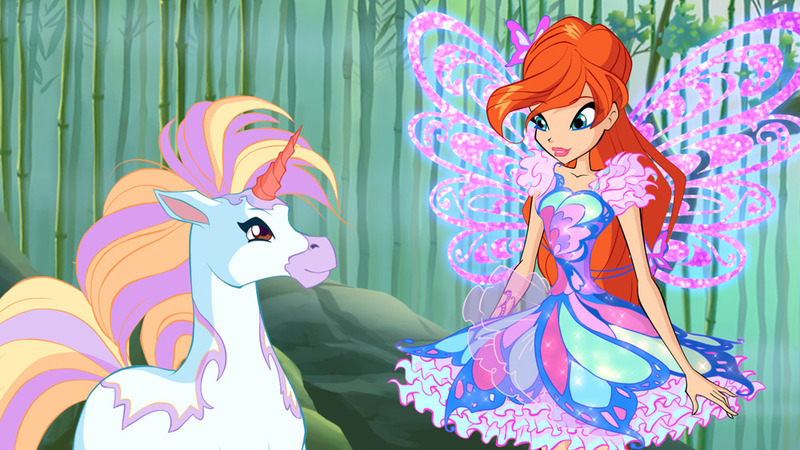 Once arrived there, the Winx find out it's a unicorn under a spell, named Elas. Thanks to the special bonding she gets with him, Bloom manages to break the spell and to rescue the pandas. ¡Estos brazaletes son la llave para tener acceso a los MiniMundos! 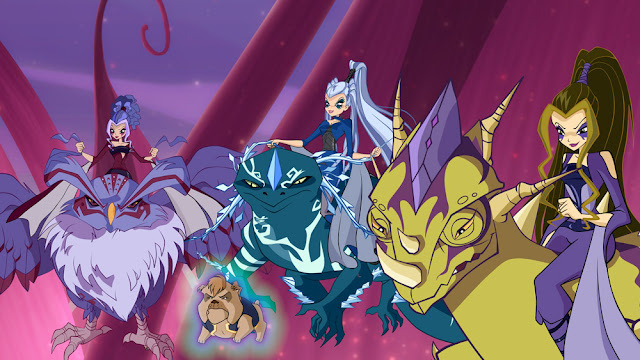 Los seis Animales Hada que se han enlazado con las Winx son los Guardianes del Ultimo Poder y dan a las Winx los brazaletes Tynix, gracias a ellos las seis hadas empequeñecen y así pueden explorar los MiniMundos mágicos. These bracelets are the key to have access to the MiniWorlds! 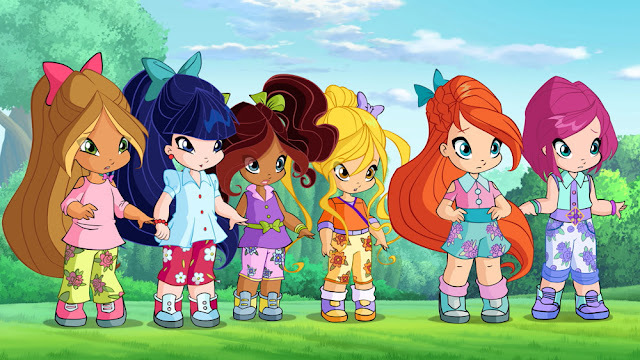 The six Fairy Animals that bonded with the Winx find out they are the Keepers of the Ultimate Power and give the Winx the Tynix bracelets, thanks to which the six fairies become tiny and they can explore the magical MiniWorlds. ¡Vamos a hacerlo incluso esta vez! Las Winx continúan su batalla contra Kalshara y Brafilius durante una serie de viajes entre el pasado y los MiniMundos para salvar todas las especies en peligro. Los leales Especialistas y Paladines estan siempre junto a ellas. We'll make it even this time! 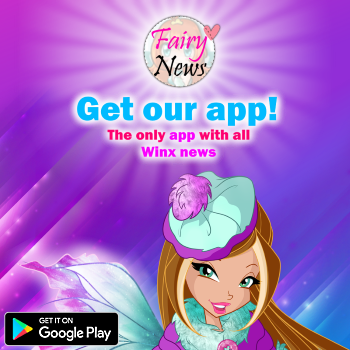 The Winx continue their battle against Kalshara and Brafilius, in a series of journeys between the past and the MiniWorlds in order to save all the endangered species. The loyal Specialists and Paladins are always next to them. Chicas, sabéis que... ¡es bonito ser una niña otra vez por un ratito! Kalshara y Brafilius piensan que el animal con el Poder Ultimo es uno de los Animales Hada enlazados con las Winx. Después de tender una trampa a las seis hadas, Brafilius lanza un hechizo para hacer que las Winx vuelvan a ser niñas otra vez. Mientras tanto, ¡Kalshara, intenta capturar a sus Animales Hada! You know what, girls... it was nice to be a child again for a little while! 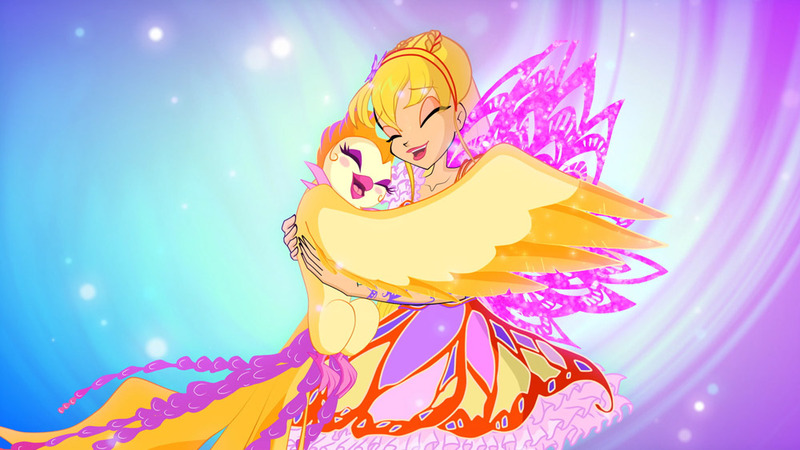 Kalshara and Brafilius think the animal with the Ultimate Power is one of the Fairy Animals bonded with the Winx. After setting a trap to the six fairies, Brafilius casts a spell making the Winx become kids again. In the meantime, Kalshara tries to capture their Fairy Animals! ¡Si, este es el Poder Ultimo! 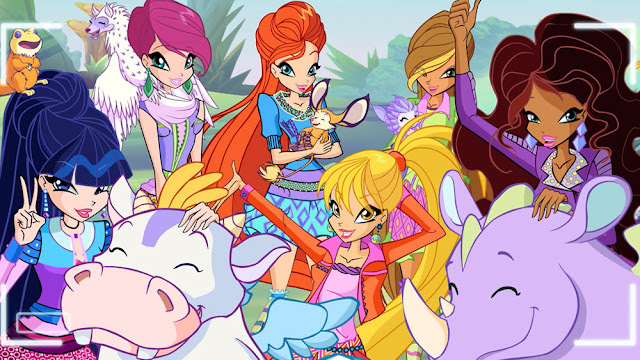 Despues de numerosos viajes, las Winx encuentran el Animal Hada con el Poder Ultimo en Alfea. ¡Es un Digmole de diamante! Yes, this is the Ultimate Power! 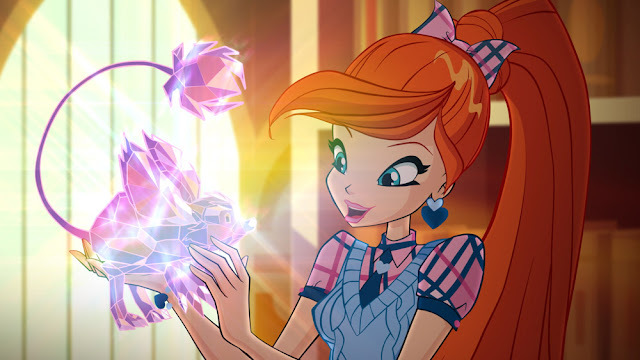 After many journeys, the Winx find out the Fairy Animal that has the Ultimate Power is actually at Alfea! It's a diamond Digmole! Es hora de que conquistemos este lugar... ¡sera nuestro de una vez por todas! 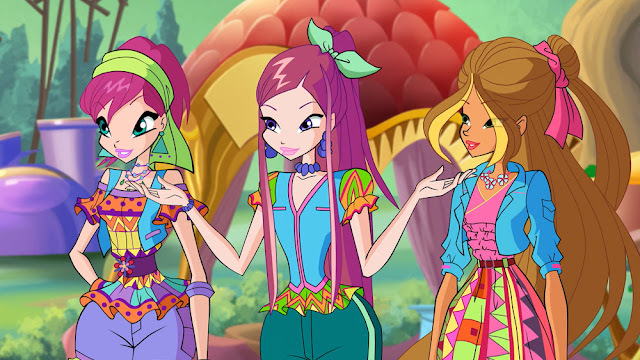 Desafortunadamente, Brafilius consigue el Poder Ultimo que lo utiliza de inmediato para hacer la peor de las acciones... liberar a las enemigas legendarias de las Winx: ¡¡¡Las Trix!!! Las tres brujas están decididas mas que nunca a conquistar Alfea de una vez por todas. Oh no! It's time we conquered this place... it will be ours once and for all! Unfortunately, though, Brafilius manages to get the Ultimate Power, which he uses straight away to make the most terrible of all actions... he frees the Winx legendary enemies: The Trix!!! The three witches are determined more than ever to conquer Alfea once and for all. Oh no! 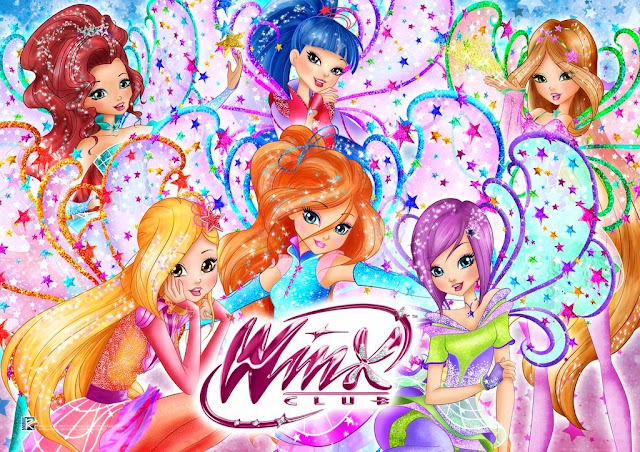 "GRACIAS WINX" ¡El Poder Ultimo esta a salvo! 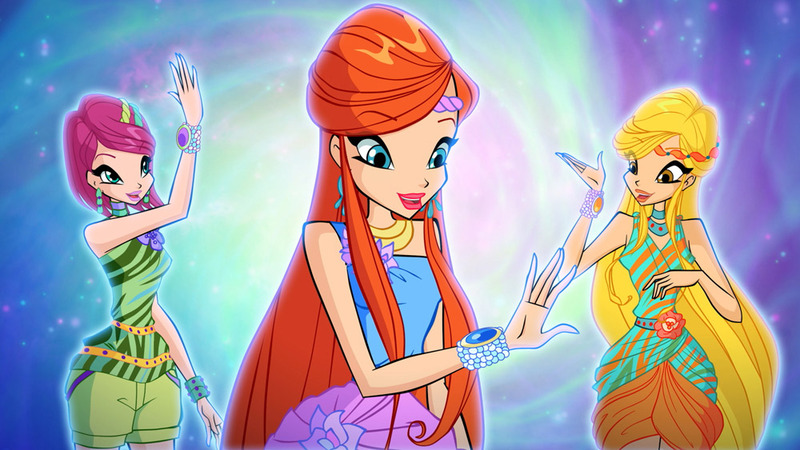 ¡La batalla entre las Winx y las Trix es muy fuerte! 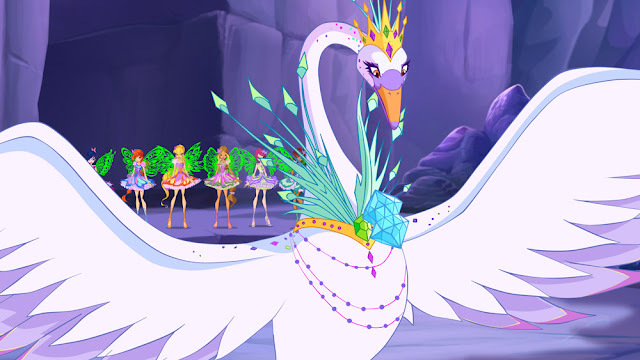 Los Animales Hada llegan para ayudar a las hadas y deciden liberar la magia definitica y convertirse en el precioso Cisne Infinito. El Cisne absorbe el Poder Ultimo y ¡derrota a todos los enemigos de una vez por todas! THANK YOU, WINX!” The Ultimate Power is safe! 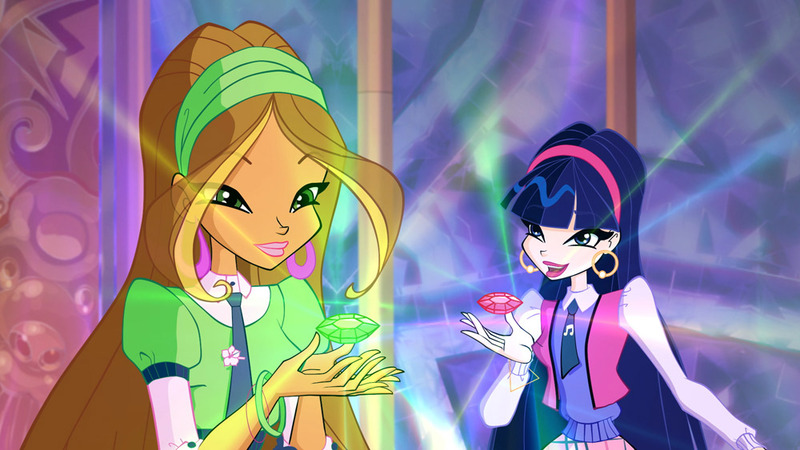 The battle between Winx and Trix is very fierce! The Fairy Animals arrive to help the fairies and decide to do the definite magic and turn into the beautiful Infinite Swan. The Swan absorbs the Ultimate Power defeating all the enemies once and for all! ¡Viva! ¡Lo hemos conseguido de nuevo! ¡Viva, es tiempo de celebrarlo! 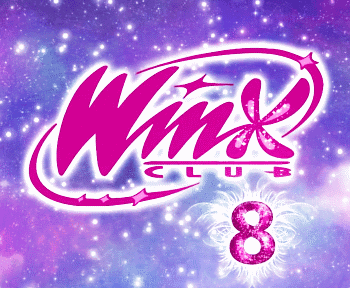 Otra increíble aventura ha terminado y todos los Animales Hada estan a salvo gracias a las Winx! Hurray! We made it this time, too! Hurray, it's time to celebrate! Another incredible adventure ended and all the Fairy Animals are safe thanks to the Winx! Me encanta esta temporada!! Aun no la he terminado de ver pero es una de mis favoritas!! Pienso igual, la temporada esta genial! Todavia no he visto la temporada, pero echo de menos a los especialistas, ahora con tanto viaje a mundos que solo pueden ir ellas no aparecen tanto... me gustaban más cuando luchaban todos juntos... eso y RIVEN!